In dem neuen Forschungsbericht Sudan Economy Research Group Discussion Papers Number 40 analysiert Professor Karl Wohlmuth die zukünftigen Kooperationsmöglichkeiten und Kooperationsnotwendigkeiten zwischen Sudan und Süd-Sudan. Der Forschungsbericht basiert auf der Keynote Lecture, die Professor Karl Wohlmuth bei der International Sudan and South Sudan Studies Conference 2012 an der Universität Bonn gehalten hat. Das dort vorgelegte Paper wurde für die SERG-Reihe überarbeitet und aktualisiert (Link: http://www.iwim.uni-bremen.de/publikationen/pub-sudan.htm ). In the new research report Sudan Economy Research Group Discussion Papers Number 40 Professor Karl Wohlmuth analyses the future of economic cooperation between Sudan and South Sudan. The report is based on the Keynote Lecture at the International Sudan and South Sudan Studies Conference 2012 at the University of Bonn. The Report is an extension and update of the former paper presented at the conference (Link: http://www.iwim.uni-bremen.de/publikationen/pub-sudan.htm ). 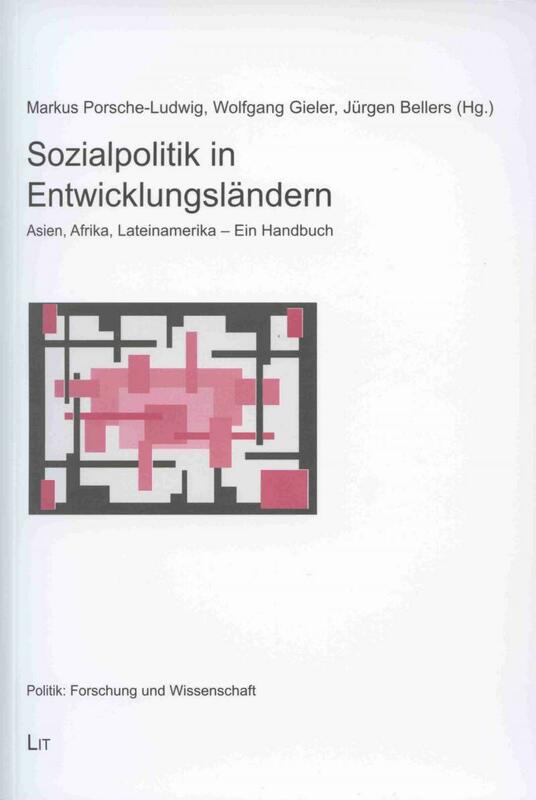 Nicht nur im "Handbuch Sozialpolitiken der Welt", sondern auch im Band "Sozialpolitik in Entwicklungsländern" ist der Bremer Wirtschaftsprofessor Karl Wohlmuth mit einem Beitrag über die Sozialpolitik in den Republiken Sudan und Süd-Sudan vertreten. Die besondere Bedeutung dieses Bandes ergibt sich aus der Tatsache, dass die Sozialpolitik zu einem wichtigen Prüfkriterium für die Entwicklungszusammenarbeit, insbesondere auch der Europäischen Union, geworden ist (vgl. Publikationen Karl Wohlmuth). Der zweite European Report on Development (ERD) für das Jahr 2010 hat den Titel "Social protection for inclusive development - a new perspective in EU co-operation with Africa" (vgl. Link: http://erd.eui.eu/erd-2010/final-report/). In der Zwischenzeit liegt der vierte ERD vor (vgl. Link: http://www.erd-report.eu/erd/index.html) und thematisiert ebenfalls Fragen der Entwicklungszusammenarbeit, und zwar mit dem Fokus auf die Post-2015 Global Agenda. 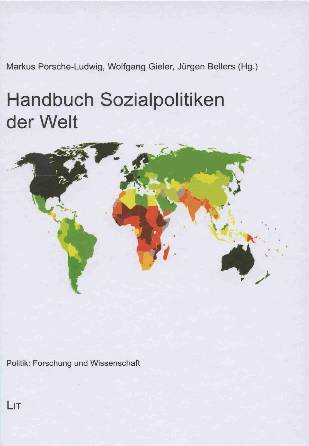 Zudem wird das Thema der Sozialpolitik für die Entwicklungszusammenarbeit und für die nationale Politik in Entwicklungsländern immer wichtiger, weil die Reaktion der Staaten auf die Weltfinanzkrise 2008/09 gezeigt hat, dass Entwicklungsländer mit einer aktiven Sozialpolitik Krisen schneller und besser überwinden können. Einkommens- und Beschäftigungsverluste sowie negative Folgen der Krise für Ernährung, Bildung und Gesundheit können eher bewältigt werden. Auch für die makroökonomische Steuerung ergeben sich Vorteile. Zudem wird die Politik der Armutsbekämpfung wesentlich effektiver, wenn grundlegende Elemente einer Sozialpolitik vorhanden sind und systematisch ausgebaut werden. This is the title of a paper proposed by Professor Karl Wohlmuth for the Annual Conference 2013 of the Graduate College and the Directorate of Scientific Research and Cultural Relations of the University of Khartoum, Republic of the Sudan. Professor Wohlmuth was invited to this event by the Graduate College and the Directorate of Scientific Research and Cultural Relations of the University of Khartoum. The theme of the conference is: "Towards a Confident Renaissance". The conference is held at the Friendship Hall in Khartoum and at the University of Khartoum-Main Campus. The theme Economic Policy for Peace, Development and Cooperation between Sudan and South Sudan as submitted to the conference is based on the recent research work by Professor Karl Wohlmuth on Strategic Economic Cooperation between Sudan and South Sudan (see about the research program and the research output the link: http://www.iwim.uni-bremen.de/EconomicPoliciesInSudan.htm). Researches on the Sudan at the University of Bremen have a long history dating back to the year 1978 (see the list of selected publications of the Sudan Economy Research Group/SERG with the link: http://www.iwim.uni-bremen.de/Dorow/SERG-38-2-2011.pdf). In einem Beitrag über die Sozialpolitik in der Republik Sudan und in der Republik Süd-Sudan analysiert Professor Karl Wohlmuth die historische Entwicklung und die aktuelle Bedeutung der Sozialpolitik im Kontext der ökonomischen Entwicklung in den beiden Ländern. Ausgehend vom UNESCWA (United Nations Economic and Social Commission for Western Asia)-Ansatz zur Analyse von Sozialpolitiken in Entwicklungsländern werden drei konzentrische Kreise von Sozialpolitiken analysiert: erstens die direkten Programme und Maßnahmen der Sozialpolitik und der Armutsbekämpfung, zweitens die Programme und Maßnahmen im Bereich der Bildungs-, Gesundheits- und Arbeitsmarktpolitik mit dem Ziel der besseren Daseinsvorsorge, und dann drittens die Möglichkeiten, makroökonomische und sektorale Politiken so zu gestalten, dass sozialpolitische Ziele angemessen durchgesetzt werden können (vgl. die Details zur neuen Publikation unter http://www.iwim.uni-bremen.de/publikationen/pub-wohlmuth.htm). Eine englischsprachige Übersetzung des Beitrages von Professor Wohlmuth ist im Rahmen der Bremer Sudanforschung vorgesehen. Dieser Beitrag wurde im Rahmen des Projektes über die ökonomische Kooperation des Sudan und des Süd-Sudan seit 2011 erstellt (vgl. Link: http://www.iwim.uni-bremen.de/EconomicPoliciesInSudan.htm). Soon after the conclusion of the Comprehensive Peace Agreement for Sudan (CPA) on January 9, 2005 the Research Project "Governance and Social Action in Sudan" started at IWIM, University of Bremen. It was directed by Professor Karl Wohlmuth and Dr. Elke Grawert. It was the purpose of the Project to follow up the process of transition after the CPA towards reconstruction of governance at various levels of decision-making, and thereby to analyze the conditions for development and a sustainable peace. A network of researchers from universities in Sudan, South Sudan, Kenya, Ethiopia and staff from IWIM, University of Bremen were involved. The Project was the first one approved in the context of the Volkswagen Foundation's new Sub-Saharan Africa Research Initiative, and it got generous support during two project phases (Links: http://www.iwim.uni-bremen.de/africa/Sudanforschung.htm and http://www.iwim.uni-bremen.de/africa/Sudan.Drittmittel/Governance.htm). The Project had also a training component as PhD students and Master students were trained. By research workshops in Bremen and in all the other Project Countries the students were trained to do field research in and near the conflict areas (such as refugee camps, conflict areas, border areas, etc.). Many publications were released by the project professors and by the project students. Considerable human capital was built and a future-oriented network of research partnerships has emerged. The trained young professionals are now starting their own research projects and use intensively the network that was established during these seven years of cooperative researches. Now the Final Report to the Volkswagen Foundation was released by the Project Coordinator Dr. Elke Grawert. She is now Research Coordinator at the Bonn International Center for Conversion/BICC in Bonn. The Report will be released to the Public quite soon. Economics Professor Karl Wohlmuth from IWIM continues his researches on Sudan/South Sudan with a New Project on "Economic Cooperation between Sudan and South Sudan". There was a rather smooth process towards a Referendum on Independence of South Sudan on January 9, 2011 and towards the official Declaration of Independence of South Sudan on July 9, 2011. However, since these days the relations between the two states have deteriorated to the extent that now - over more than a year starting in January 2012 - the oil production in South Sudan had been stopped because of accusations of unfair treatment by the partner. The oil is produced near the international border in the South Sudan but the infrastructure of Sudan is needed for transport and processing towards export via Port Sudan. Both states now suffer from huge losses of public revenues and foreign exchange despite of the nine September 2012 agreements in Addis Ababa about all the open security, border and finance issues. A Strategic Economic Cooperation is needed between the two countries as the border regions of the two states are of extremely great economic importance for Sudan and South Sudan (Links: http://www.iwim.uni-bremen.de/EconomicPoliciesInSudan.htm and http://www.iwim.uni-bremen.de/forschung/forsch-sudan.htm). The 25th Sudan /South Sudan Conference will be held October 31 - November 2, 2012. Leading personalities from Sudan and South Sudan will attend the conference to exchange views on the current situation and to discuss strategies to create conditions of lasting peace and to provide preconditions for economic development and mutually beneficial cooperation. Since 1987 every year an international Sudan Conference was held in Hermannsburg, organized by the Sudan Forum e. V. and the Sudan Focal Point Europa. The open exchange of views in Hermannsburg between Sudan Government representatives and SPLM representatives has since 1987 contributed to the process that ultimately led to the Comprehensive Peace Agreement (CPA) of January 9, 2005. Now the new problems between Sudan and South Sudan have to be addressed – the still open separation issues and the unsolved CPA issues. Although nine agreements between the two countries were signed on September 27, 2012 in Addis Ababa, major issues are still open. Also the implementation of the nine agreements has to get started. This year the conference is sponsored by Brot für die Welt and by Misereor. Main topics of the Sudan/South Sudan Conference 2012 are the preconditions of lasting peace and the recognition of the rights of the people, the moves towards sound economic policies in the two countries and a strategic economic cooperation between Sudan and South Sudan, and the ways to overcome the conflicts in Abyei, Darfur, South Kordofan, Blue Nile, and in other areas of the two countries (Link to Programme). Various agreements were signed in Addis Ababa on September 27, 2012 concerning unsolved CPA/Comprehensive Peace Agreement Issues and Post-Secession Issues. Nine documents with Agreements emerged from the Sudan and South Sudan Addis Ababa Summit. Two further documents are of great relevance as they are on the unsolved Abyei Issue, one from the African Union (an AU Proposal on the status of Abyei submitted to the two parties in the conflict on 24 September 2012) and the other to the African Union (the Rejection Letter by President Bashir on 26 September 2012 to the AU). These documents are available as full texts (http://www.sudantribune.com/spip.php?rubrique13). Also other relevant documents can be looked at and downloaded at this website. Implementation of these nine agreements can be better watched when the texts are looked at in full details and in the context of prior documents and the AU/UNSC Resolutions. The Cooperation Agreement is particularly weak and vague and does not cover the main issues for a sustainable long-term economic and political cooperation of the two countries (see on these issues the Strategic Framework for Economic Cooperation between Sudan and South Sudan with five core cooperation programmes and five supplementary cooperation programmes as outlined by Professor Karl Wohlmuth (http://www.iwim.uni-bremen.de/Siakeu/Short-Wohlmuth-Bonn-6-2012.pdf). There are severe doubts that the agreement which was negotiated by the mediator of the African Union (AU) will last for long. The agreement may only bring the resumption of oil production but not sustainable solutions to other open issues between the two countries. Professor Karl Wohlmuth has written a Report on the negotiation issues and on future development cooperation and has proposed a Strategic Framework for Economic Cooperation between Sudan and South Sudan. According to his study four complex negotiation complexes have to be solved in a "package agreement" and five areas of economic cooperation matter for future development in the two countries (Links to Paper and to Presentation).